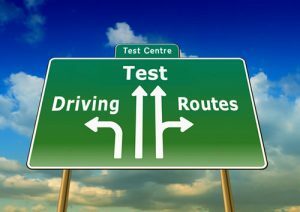 Every Driver and Vehicle Standards Agency (DVSA) driving test centre has its own unique driving test routes designed to challenge learner drivers on varied road types and traffic systems. Whilst taking driving lessons, it’s important to not only find an experienced instructor with good pass rates (how to find a good driving school), but also that your instructor has an excellent knowledge of the driving test routes in the area that you intend on taking your test. This way, your instructor will aid you in understanding the most difficult areas of the test routes that the examiner is likely to take you on. You can also download test routes for your mobile device or Sat Nav. Available are driving test routes for Sat Nav, Google Maps, Google Earth, iPhone, Android & CoPilot Live. Download Driving Test Routes. Driving test routes are designed by the DVSA testing examiners local to that area and are specifically designed to incorporate the most difficult areas within the radius of their driving test centre. The driving test routes provided will gain you an insight into the various types of roads likely to be taken on your driving test. Driving test routes do change and get updated, although generally they remain similar or even identical due to the specific difficult areas that the examiners like to keep on the test routes. Whilst looking through the driving test routes for your test centre, it’s not necessary to understand each and every road possible. Locating difficult areas will prove more beneficial. Typically, these are usually certain roundabouts and complicated junctions. Use the A-Z menu below to find test routes for your local test centre. 1. Roads and routes directly leading in and out of the test centre. Many driving test are failed in such areas, often simply leaving the test centre. Get plenty of practice on the test routes in and around the test centre. 2. Busy roundabouts with multi-lanes. They are common on test routes as examiners assess your ability on lane changes. 3. Busy junctions / crossroads and box junctions. Again these incorporate multi-lane systems. 4. Dual carriageways including the roundabouts that lead you onto the carriageway. (If applicable in your area). These roundabouts are often large with multi-lanes leading in and out of the roundabouts. These types of roundabouts tend to fail a large number of tests so if they are incorporated into your test centre routes, get plenty of practice. Major roundabouts and mini roundabouts. Major junctions and quiet ‘closed’ or ‘blind’ junctions in residential areas. This is to include crossroads. 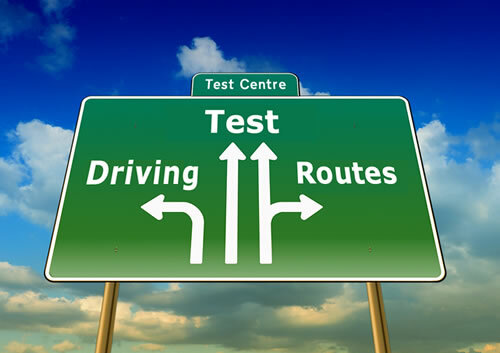 One-way-systems if close enough to the test centre will likely be on the driving test routes. All road types including dual carriageways, busy urban, quiet residential streets and country roads. A good local driving instructor should know these areas. If taking private driving lessons however, the driving test routes should prove beneficial. To find your local driving test routes, use the A – Z list above. Do driving test routes change? On occasions they do. If for instance it is a very busy time of day and particular roads are known by the examiners to be congested, they would rather assess your ability at driving rather than waiting in traffic, and so will take you off the test routes and into other areas. Other such examples as this, road works or even bad weather may play a part in a driving test route being changed.